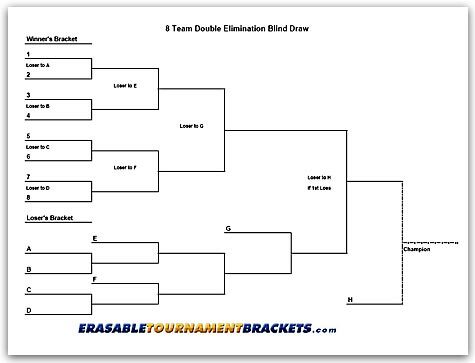 Tournament Brackets for NFL, NBA, NHL, MLB, and College Football and Basketball - ErasableTournamentBrackets.com! 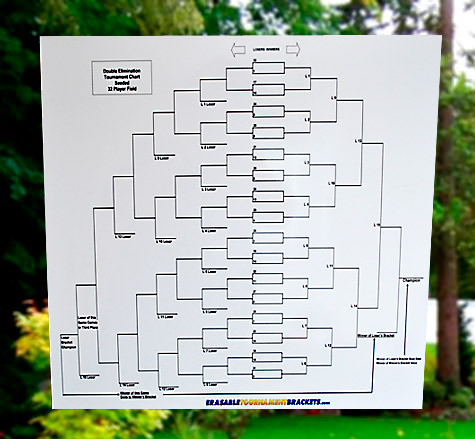 Get a Tournament Bracket for Your Game! Great option if you need it now! 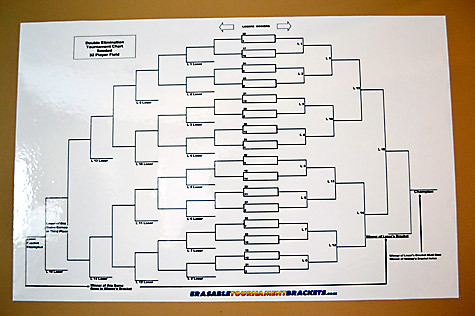 2) ORIGINAL ERASABLE LAMINATED TOURNAMENT POSTERS! 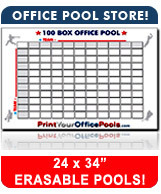 Attaches to wall and easily transports to your event! Available in 24 Different Styles! $29.99 with FREE SHIPPING and FREE PEN! 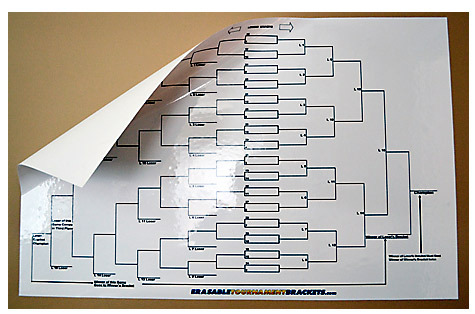 3) REUSEABLE WALL MOUNT ADHESIVE TOURNAMENT POSTERS! 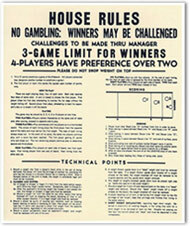 Removable, repositionable charts easily stick to your wall! Available in 6 Popular Styles! $39.99 with FREE SHIPPING and FREE PEN! 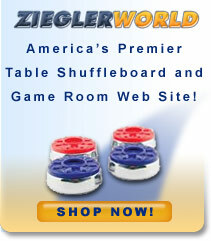 Aluminum board is reuseable and built for permanent mounting! Available in 4 Top Styles! $89.99 with FREE SHIPPING and FREE PEN!